Wouldn’t it be great if moving required nothing more than the clothes on your back and a toothbrush? Actually, I’m pretty sure I’ve been there before – I believe it’s called college. When I was 17 years old I moved out of my mom’s house and into my new life in a college dorm 3 hours away, with only as much as I could fit into my tiny 3 cylinder hatchback Geo Metro. Five years later, G and I bought our first house and packed up everything we owned and loaded it into my mom’s horse trailer. Unpacking your first home is so much fun! Especially if you came from a small apartment. You have exactly one set of dish (unmatched, of course) and all those empty cupboards to put them in! Suddenly you have TWO bathrooms instead of one and you realize you need to start buying toilet paper in quantities larger than a 4 roll pack because now you actually have a place to store them. You have closets! And a garage!! You think to yourself – in between kisses and box cutters – that there’s no way the two of you will ever fill up all this space. And then you’re in your thirties. Your family has grown, your postpartum closet spans sizes 4-10, two entire rooms in your house are dedicated to toy trains, cars, dollhouses and princesses, and your husband has taken up bobblehead collecting. The horse trailer is no longer going to cut it. This is the state of my household at this point, and while G and I are actually embracing packing up and moving when the time comes (hello, new house! ), I’m feeling slightly a lot less enthusiastic about unpacking. 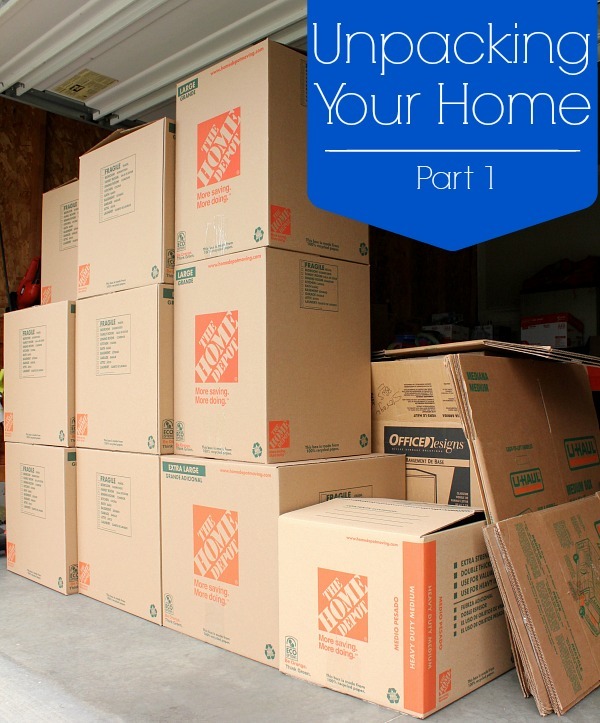 So I did my research on how to best go about this business of unpacking (you’re welcome) and I’m bringing it to you in a series of posts starting with: Unpacking Your New Home: Part 1. Got any other unpacking tips to share? I’d love to hear them!